Curious about your student loans? Over 40 million Americans hold $1.4 trillion in student loan debt. Corporate Optometry’s partner, SoFi, answers some commonly asked questions1 about student loan refinancing. Refinancing is a great solution for working graduates who have high-interest, unsubsidized Direct Loans, Graduate PLUS loans, and/or private loans. Federal loans do carry some special benefits, for example, public service forgiveness and economic hardship programs, that may not be accessible to you after you refinance. A Direct Consolidation Loan is a government program that allows you to combine multiple federal education loans into a single loan. The resulting interest rate is a weighted average of your prior loan rates. When you consolidate federal loans through the federal loan consolidation program, you’re combining multiple loans together with a resulting interest rate that’s the weighted average of your original loans’ rates. When you refinance loans with a private lender, you’re also consolidating (i.e. combining) them, but the lender will use your financial information to give you a new, hopefully lower, interest rate. 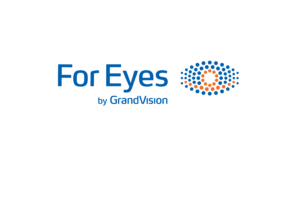 Corporate Optometry has partnered with SoFi to offer our members and their families a $150 welcome bonus2 upon refinancing their student or Parent PLUS loans through SoFi.com/CorporateOptometry.